If you are creating a batch file or writing a script may be to automate backups, then you might need a tool that can download files from Windows command line. 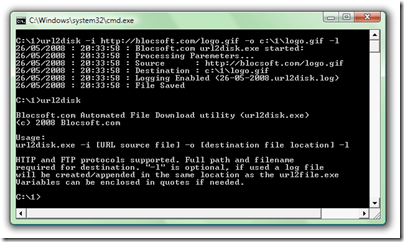 URL2Disk is a free command line tool that you can use to download files from Internet using Windows command line. It supports download of images, files, audio file, video file and virtually any file. 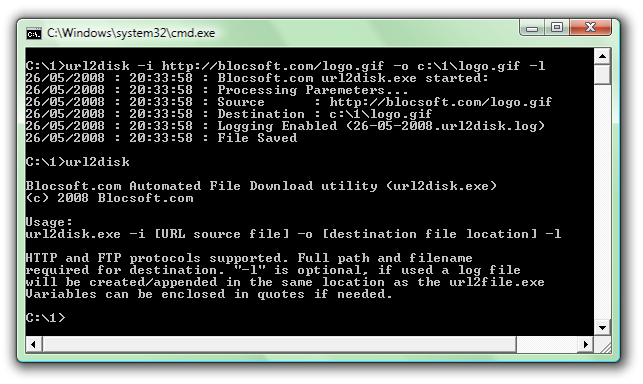 To use this tool you would need to specify the source location (source URL) and destination location in our computer where you wish to store the file, also the files that are being stored can be renamed. This utility supports HTTP and FTP protocol (servers) also logging options is available.